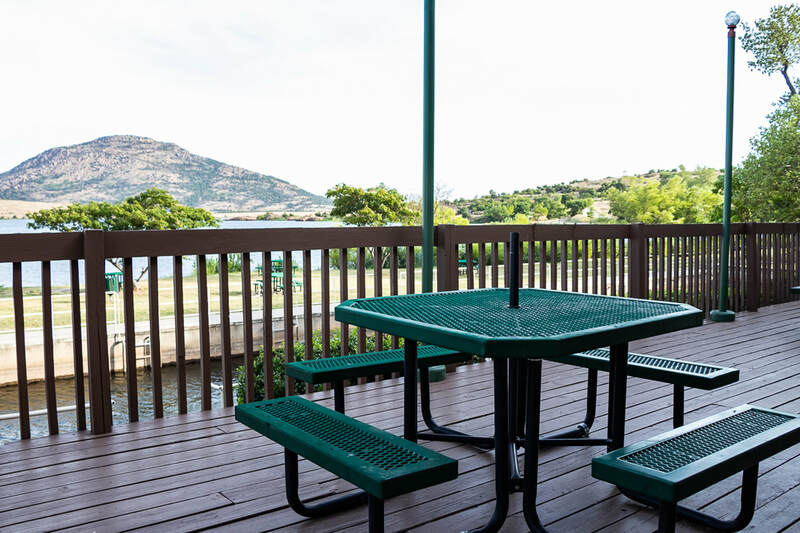 Lake Elmer Thomas Recreation Area (LETRA) is Fort Sill’s premier recreation destination meeting your recreation and lodging needs with close proximity to the Wichita Mountains Wildlife Refuge, Medicine Park, and Fort Sill. LETRA is located at the base of Mt. 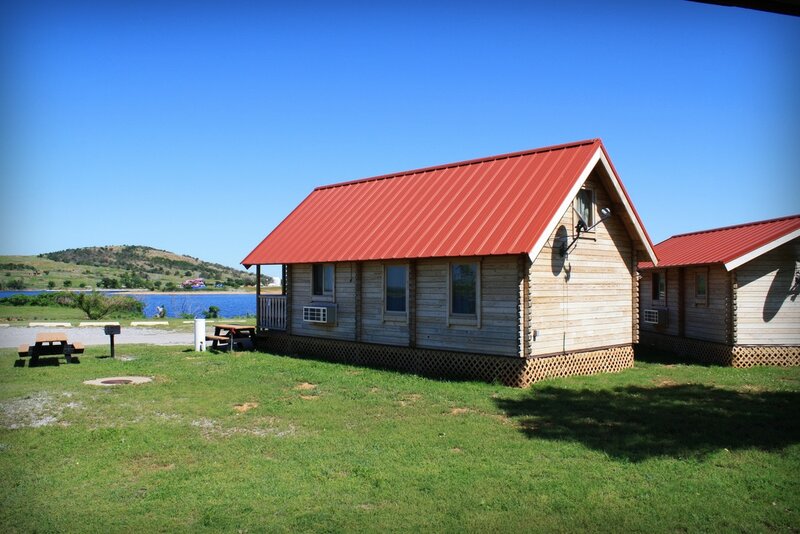 Scott on a 360 acre, no wake lake with year round camping availability and summer season recreation activities. 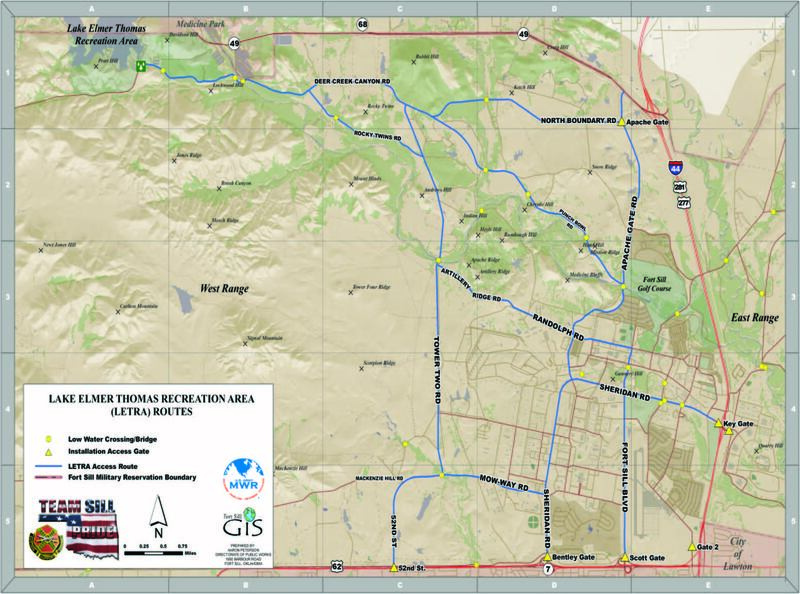 Located 12 miles NW of the main post, LETRA can be reached by using Apache Gate on Hwy 49 and all other by Sheridan Road Gate and Key Gate. 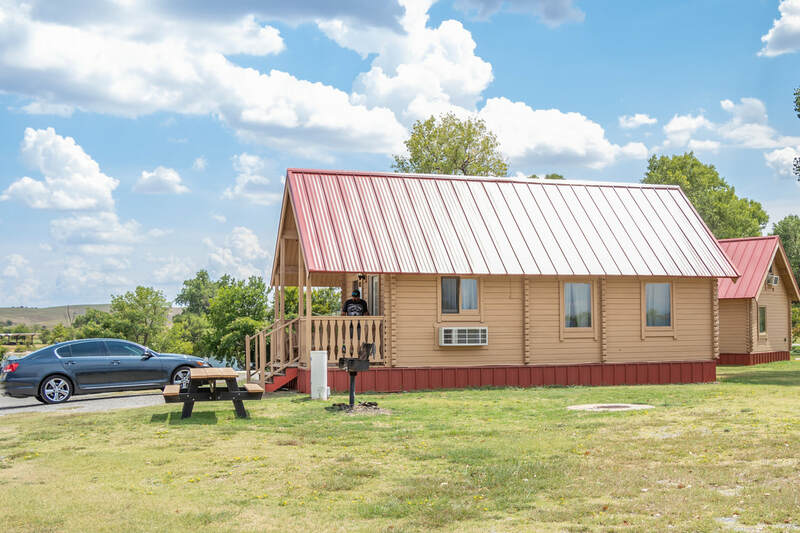 Medium Cabin #01 is available as ADA compliant! All LETRA cabins all have heating and air conditioning. Must cancel 3 days prior to arrival to receive full refund. If you cancel within the 3 days you will lose one nights stay. IMPORTANT: If you do not have a DOD issued ID card, you will need to get a visitor's pass for Ft. Sill at Bentley Gate on Sheridan Road. For more info, click here! If Check-In is anticipated to be after 6:00pm, contact 580-442-5858 during normal business hours, prior to arrival. If after normal business hours, or on a day the General Store is closed please contact 580-583-0670, Camp Host for assistance. 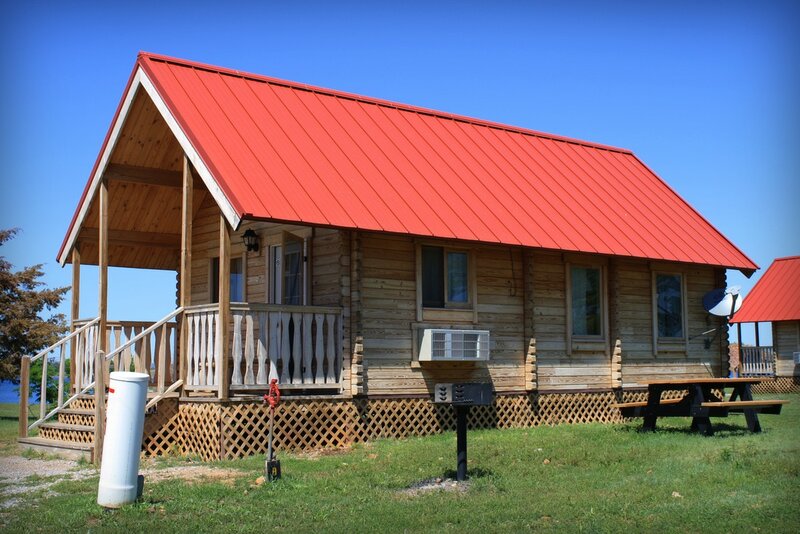 Book your reservations by scrolling down and selecting your cabin! For directions, questions, & other information please contact us during business hours at 580-442-5858 and after hours at 580-583-0670. 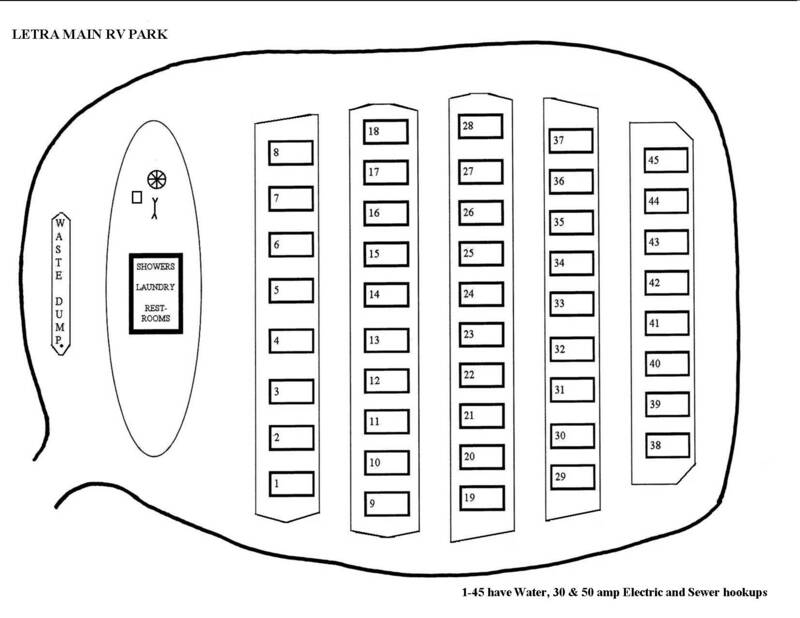 View a map of the LETRA RV park! The forty-five (45) RV pull through pads that provide 30 amp & 50 amp electric, sewer, water, satellite television, and internet. We can accommodate RVs up to a 65 ft. There is a dump station on site and it has a bathroom/shower/laundry facility open year around. SCROLL UP to book RVs on the LETRA site and SCROLL DOWN to book Medicine Creek RVs. 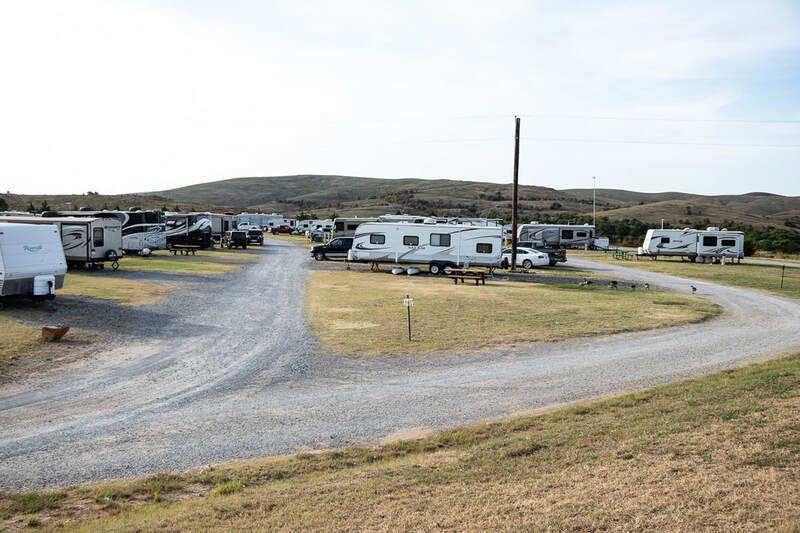 Medicine Creek RV park is a small travel camp that is conveniently located to the main post. The park is a quick drive to the PX, Fitness Centers and Theater. Medicine Creek is a perfect spot for guests who are looking for a quiet , peaceful travel experience. With a seasonally stocked creek running through the area, you don’t have to go far for some great fishing. Note: Medicine Creek tent camping is not allowed, but it is allowed at Letra. Monday - Tuesday: 9 a.m. - 4 p.m.
Continue for about 1.5 miles. Park will be on the right. Check-in and check-out are at 12 p.m. daily. Sponsors may make arrangements for their non-military guests. Book your reservations by scrolling down and selecting your RV!